Berlin is the capital of Germany and the largest city in the country. It is known for its cultural scene and its diverse art scene covers hundreds of galleries, events and museums. 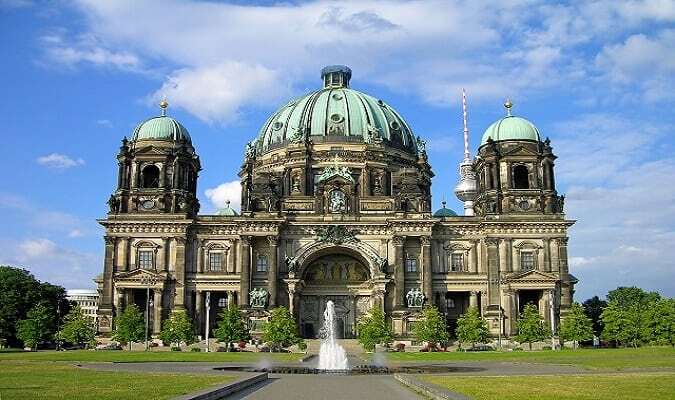 The Berlin Cathedral was completed in 1.905. It is Berlin‘s largest church. The cathedral is famous for its dome. The Brandenburg Gate is a monument in Berlin and a symbol of the city. It was built on the orders of Prussian king Frederick William II. Unter den Linden is a famous avenue in Berlin. It has 1400 meters and connects the Pariser Platz in front of the Brandenburg Gate to the Lustgarten. The Berlin Wall divided Berlin from 1961 to 1989. The wall was more than 140 kilometres long. 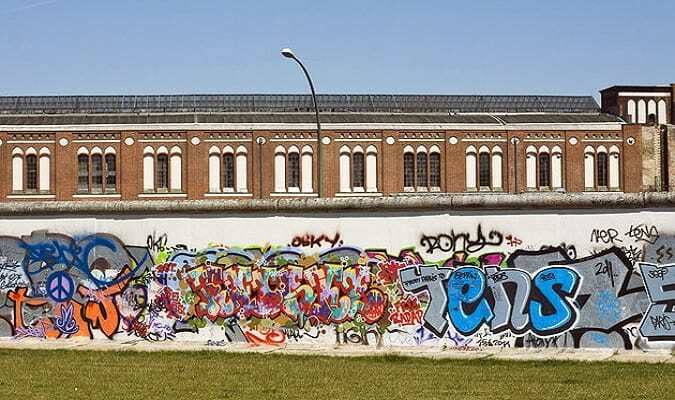 Today there are parts of the wall including a 1,4 km preserved as part of the Berlin Wall Memorial. The Charlottenburg Palace is the largest and most significant palace complex in Berlin. During the Second World War, the palace was damaged but it was reconstructed. The Alexanderplatz is a famous public square located in the Mitte district. 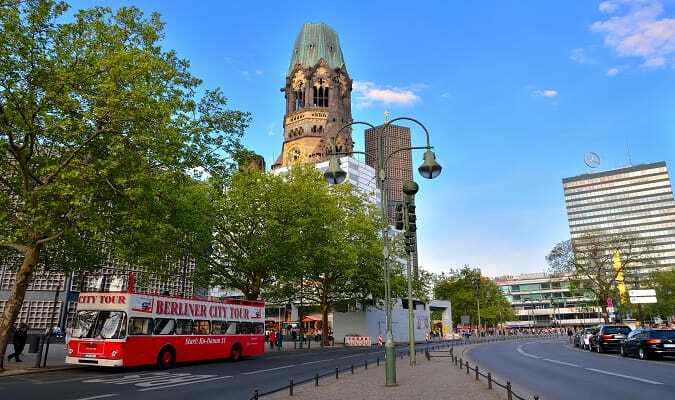 The famous Berlin Television Tower is close to the square. 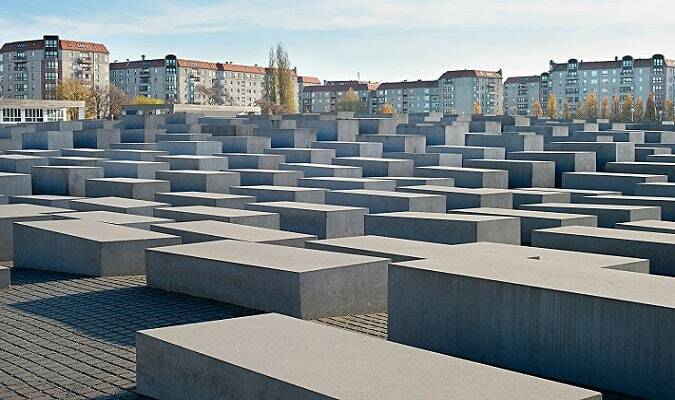 The Holocaust Memorial is a memorial to the Jewish victims of the Holocaust. The Museum Island is located in the Mitte district. 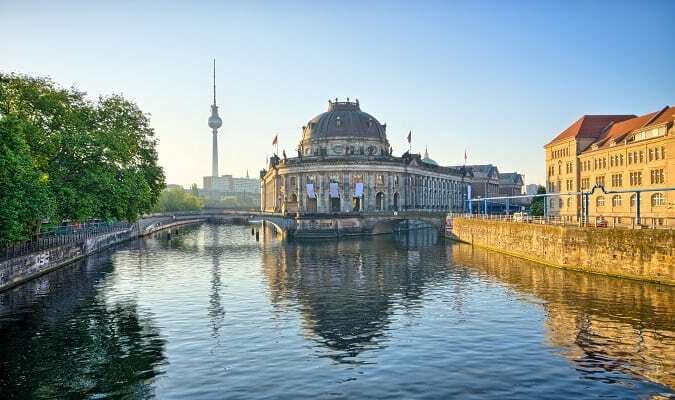 The complex has 5 museums: Altes Museum, Neues Museum, Alte Nationalgalerie, Bode-Museum and Pergamonmuseum. 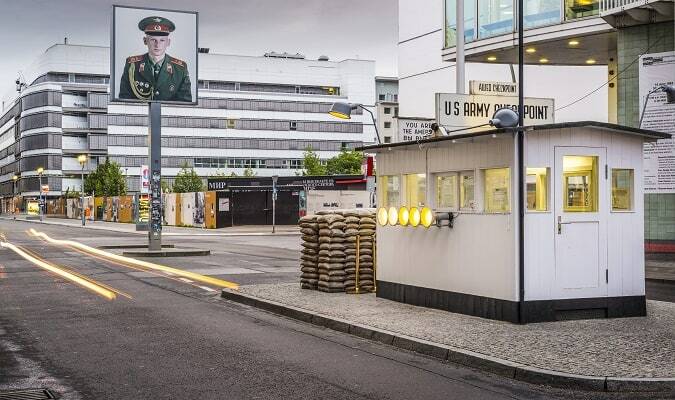 The Checkpoint Charlie was a crossing point between East Berlin and West Berlin during the Cold War. The name was given by the Western Allies. Gendarmenmarkt is a square in Berlin where the Konzerthaus and the Deutscher and Französischer cathedrals are located. In the middle of the square there is a statue of Friedrich Schiller. The Reichstag is a symbol of Berlin. After the German reunification in 1990, the Bundestag has decided to make one year later the reconstruction of the building. After its completion in 1999, it once again became the meeting place of the German parliament. The roof terrace and dome of the Reichstag can be visited by the public. The Kaiser Wilhelm Memorial Church is located on the Kurfürstendamm. It was badly damaged in a bombing raid in 1943 and the damaged spire of the old church has been retained and its ground floor has been made into a memorial hall. Potsdamer Platz is an important square in Berlin. It was totally destroyed during World War II and then left desolate during the Cold War. Since German reunification, Potsdamer Platz has been the site of major redevelopment projects. The Tiergarten is Berlin’s most popular inner-city park. It is among the largest urban gardens of Germany. The Grand Hyatt is located in the Potsdamer Platz district. The location is ideal for sightseeing. The hotel has 342 rooms, a spa and a terrace. 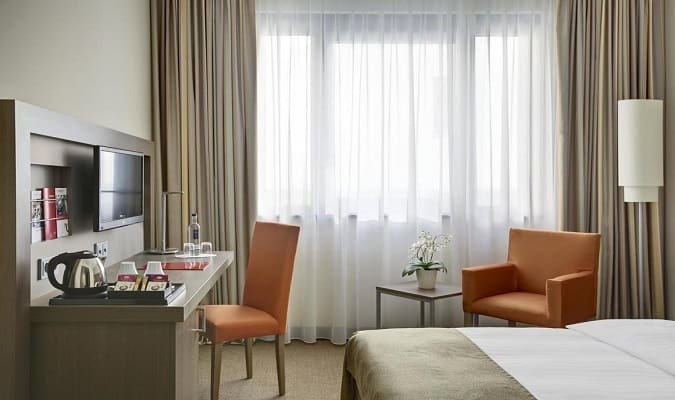 The Hilton is located in the Mitte district, a central area of Berlin. 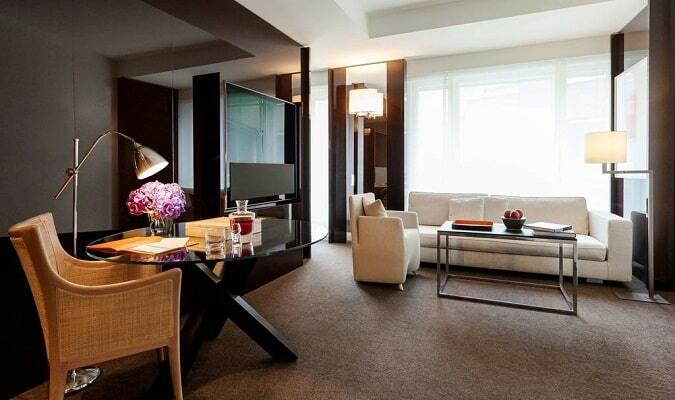 Rooms are equipped with a flat-screen TV and minibar. The InterCity is located close to the Central Station. 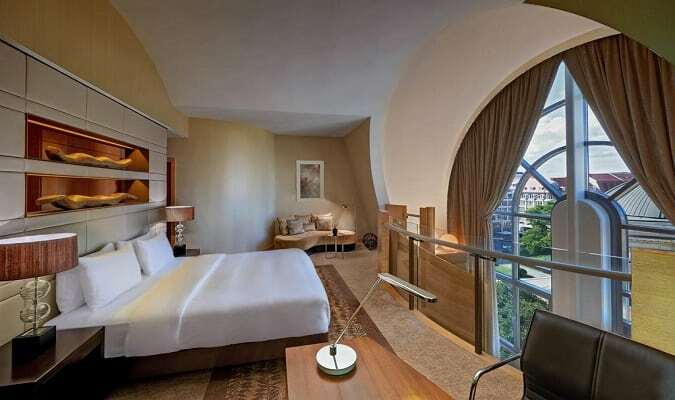 It has 412 rooms equipped with a TV, sitting area, minibar and safe. The Eurostars is located at Friedrichstrasse. Rooms are equipped with a with flat-screen TV, tea/coffee maker. Berlin is a shopping paradise. You will find from traditional department stores, modern shopping malls, luxury designer shops to small craft stores. The shopping area known as Kurfürstendamm includes the Tauentzien Strasse, as its entire extension to the east. Also explore the parallel streets: Fasanenstrasse, Knesebeckstrasse, Bleibtreustrasse. KaDeWe is a department store. A variety of luxury brands like Cartier, Gucci, Hermès, Dior, Prada, Fendi, Chanel can be found there. It´s worth visiting the gourmet department located on the 6th floor. The Europa Center is located 4 km from the Brandenburg Gate. Brands: Adidas, Bonita, Claire´s, others. The Wilmersdorfer Arcaden is located 5 km from the Brandenburg Gate. Brands: Bonita, Marc O´Polo, New Yorker, Pandora, others. The Mall of Berlin at Leipziger is located a 14 minutes’ walk from the Brandenburg Gate. Brands: Adidas, Armani Jeans, Hugo Boss, Lacoste, Mango, Marc O´Polo, Mavi. 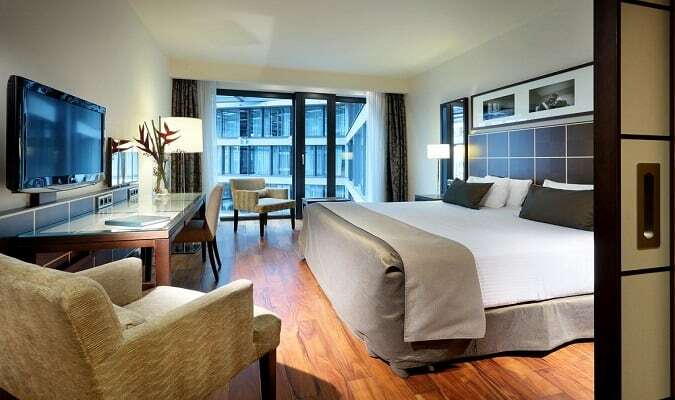 The Potsdamer Platz Arkaden is located 220 meters from the Potsdamer Platz. Brands: Bonita, Camper, Douglas, Esprit, Forever 21, Guess. Das Schloss is located 9 km from the Brandenburg Gate. Brands: Bonita, Cecil, Tom Tailor, Tommy Hilfiger. The Galeries Lafayette is a French department store chain. The store was constructed between 1991 and 1995. Brands: Burberry, Chanel, Champs, Chloé, Gucci. Berlin has easy train access from various cities in Germany. Famous cities nearby: Potsdam, Dresden, Erfurt, Lübeck, Schwerin.